Biography, Ancestry and Movie Links for Elizabeth Taylor (1932-2011), actress. http://www.countyhistorian.com at "Elizabeth Taylor" on CountyHistorian. Elizabeth Taylor's father Francis Lenn Taylor although born 18 Dec 1897 in Springfield, Sangamon County, Illinois, had moved with his parents by 1910 to the town of Cherokee in Alfalfa County, Oklahoma, where his father was a "salesman in a dry goods store" according to his census entry that year. C. David Heymann in his "Liz: An Intimate Biography of Elizabeth Taylor" states that his father "operated the local general store" (p13). He there quotes Nona Smith, a classmate of Francis' from his years at Cherokee, as saying that all the girls thought Francis was "very handsome". But he seems to confuse where Elizabeth's parents Francis and Sarah first met, thinking it was in this town. By 1915, the Taylor's had moved to Arkansas City, Cowley County, Kansas, which is probably actually where he first met his future wife Sarah Viola Warmbrodt, who was living with her parents from at least 1892 until 1920 in that town. Her parents are said to have at first opposed the friendship, as she was a year ahead of him in school. Francis next appears living in 1917/18 in St Louis, Missouri, where he lists himself as "secretary to Howard Young". Howard Young (1878-1972) was his uncle-by-marriage, having married Francis' maternal aunt Mabel Rosemond. Francis' parents are listed in 1920 in Arkansas City, Cowley County, Kansas; Francis however is not listed living with his parents in that census. Somehow probably because of this Arkansas City connection the two families shared, Francis met his future wife Sarah, evidently in school. Francis later lived in New York City, where he was an art dealer or art gallery manager for Howard Young. Sarah meanwhile had moved to California with her parents, but then become a stage actress under the name "Sara Sothern", playing in New York City and London. For more on this part of the life of Sara see my Knol "Early life of Sara Sothern, mother of Elizabeth Taylor". It's not yet clear if Francis and Sarah had kept in touch during those years apart, but they renewed their acquaintance in New York City, where they married in 1929. Howard Young opposed this match, until Sarah assured him that she meant to leave the stage. Within a few years of their marriage, Francis was transferred to the London art gallery of Howard Young. This is where Elizabeth Taylor was born 27 Feb 1932 in "Heathwood" a house in Hampstead, London as the second child, her older brother, Howard Taylor, had been born in 1929 also in London. Her two first names are in honor of her paternal grandmother, Elizabeth Mary (Rosemond) Taylor. Taylor was born both a British subject and an American citizen, the former by being born on British soil under the principle of jus soli, and the latter through her parents under the principle of jus sanguinis. One of the first nationwide articles to mention Taylor, was a New York Times article dated 2 Jan 1949 which includes the tidbits that in 1939 the family moved to California "to be with Mrs. Taylor's parents, and have lived there ever since." In fact Sarah's mother Anna had died in 1937, after returning from San Gabriel, California to live her last days in Arkansas City, but Sarah's father Sam either stayed in San Gabriel or returned there after Anna's death. When the family did leave London, Sarah and the children left first, toward the beginning of 1939 with Francis following after some months toward the end of that year. They located in Los Angeles, California where Francis ran a Beverly Hills art gallery for Howard Young, or with money supplied by Howard Young. Francis did not break his connection to Howard, as some have stated, since Sarah sometimes chided him even still for his financial connections to Howard Young. 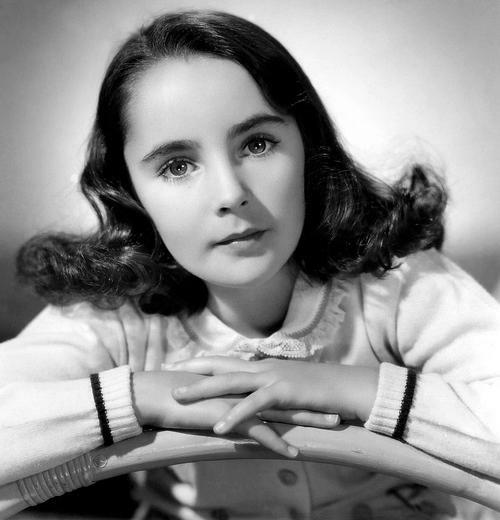 Elizabeth's first movie, in which she appeared at age nine was Universal Studio's release "There's One Born Every Minute" in a minor role as "Gloria Twine". Her contract however was not renewed. Another person who appeared in this 60-minute film was Carl Switzer (1927-1959), better known as "Alfalfa" from the "Our Gang" series of films. The previously cited 1949 article continues that Elizabeth Taylor "became an actress because a film-producer friend of her father, struck by her unusual dark beauty and needing a young girl with a British accent for a Lassie film, offered her a contract." 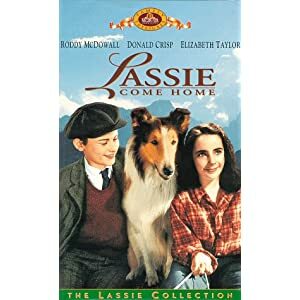 They are here referring to her 1943 film ''Lassie Come Home'' with Roddy McDowall, in which Elizabeth played Priscilla the daughter of the Duke of Rudling. The "film-producer friend" was Sam Marx, producer of this picture. Today box sleeves like to portray her as if she were a co-star, but Elizabeth was listed only incidentally, after the initial opening credits (which listed seven stars, including Lassie!) Watch Part 1 at this link, then buy it! For this role, Elizabeth was paid $100 per week. The collie was paid $250 per week.